LOUISVILLE, Ky.—Dow Chemical Co. exhibited three new grades of Nordel EPDM at the International Elastomer Conference in Louisville, Oct. 9-11. 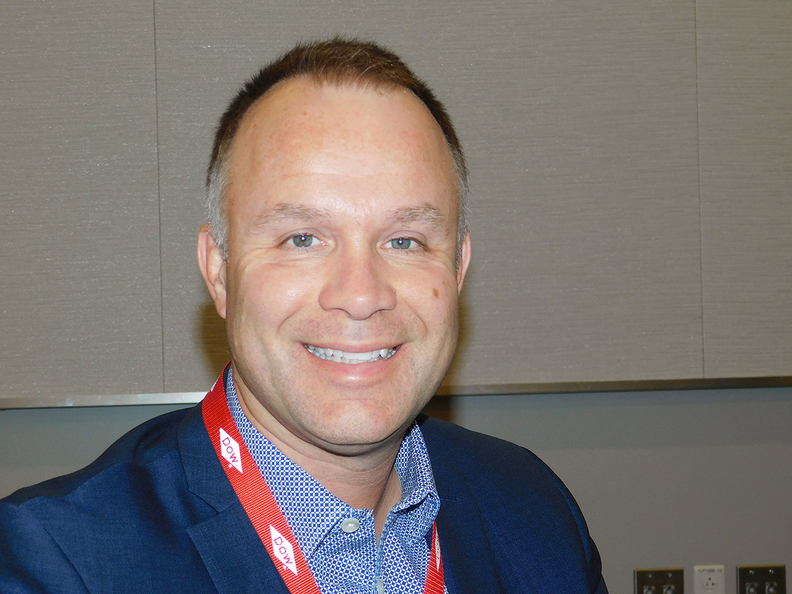 The new Nordel grades represent the company's commitment to expanding its product offerings, according to Dirk Zinkweg, Dow global product director of Nordel EPDM. Nordel 4771 XFL EPDM, an XFL grade ideal for automotive sealing systems, hoses and thermoplastic vulcanizate applications. "There are no particular new applications because of these new grades, but they contribute to improving the performance of the products our customers make," Zinkweg said. "They have good potential for products such as conveyor belts and non-automotive hoses. But clearly the greatest potential will come from transportation." They offer different levels of crosslinking and crystallization, according to Zinkweg. But all of the new grades offer improved mixing ability that in turn enhances the performance of the products they go into, he said. Dow's new grades build on Dow's Nordel portfolio, which expanded in 2017 with three other Nordel products, according to Zinkweg. These oil-extended, extra fast cure (XFC) grades were 6555 OE, 6565 XFC and 6530 XFC. According to Dow, these grades mix and cure rapidly, process faster than other EPDMs and offer a full range of properties enabling a complete next-generation automotive sealing system. Together, the six new grades strike the optimum balance of surface sealing and aesthetics, part strength, and improved elastic and compressive properties, according to Dow. They meet or exceed industry requirements to dampen vibrations and road noise, and also deliver high-end surface finish with significant improvement in surface quality, it said. Dow's advanced catalyst technology for manufacturing EPDM gives the company major advantages against its competitors, according to Zinkweg. "It's technology we feel allows us to do things no one else can do," he said. "Our advanced catalysts set these products apart." Not only do Nordel products offer outstanding durability and longevity, but they take much less energy to make and emit much less carbon dioxide during manufacture, according to Zinkweg. Nordel EPDM products have a significantly lower environmental impact than EPDM manufactured by the Ziegler-Natta solution process, according to Dow. "This is a direct result of improvements in manufacturing process efficiency, which help reduce emissions output," the company said. Nordel EPDM technology uses 24 percent less energy than Ziegler-Natta, with 37 percent less acidification, 39 percent less carbon dioxide emissions, 45 percent less smog and 69 percent less ozone depletion, the company claimed.